Sleek, chic, and very easy to wear. 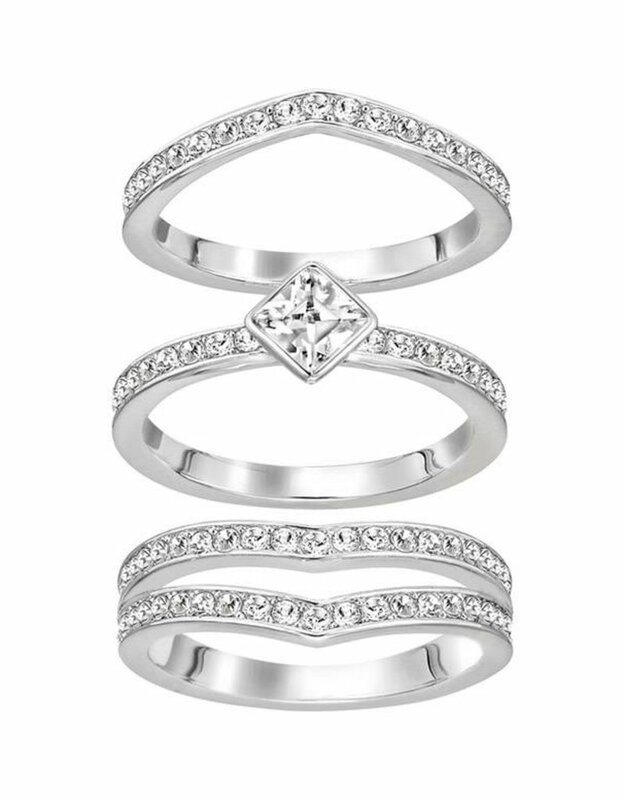 Sparkling with clear crystal pavŽ, this set of three rings features organic V silhouettes. The metal is rhodium-plated for a brilliant shine that wonÕt tarnish. 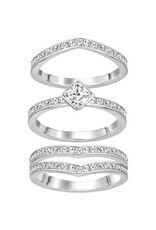 Wear the rings together or separately, or mix and match with other Swarovski rings for a trendy stacked look.